Rawr! 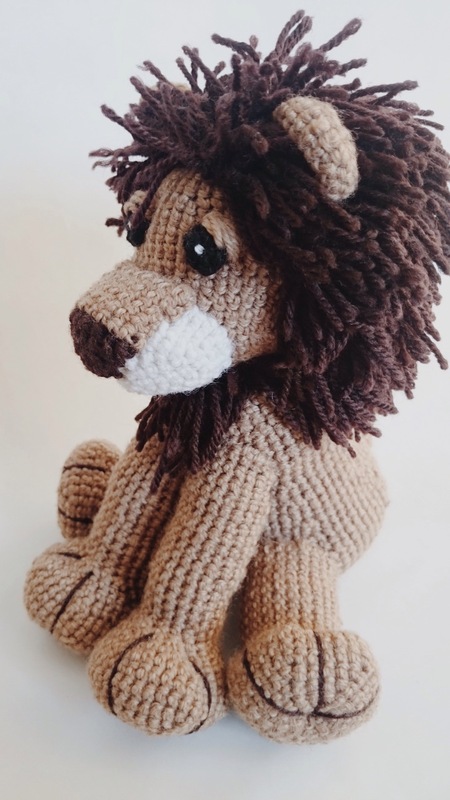 I’m made this little guy for my adorable little nephew. 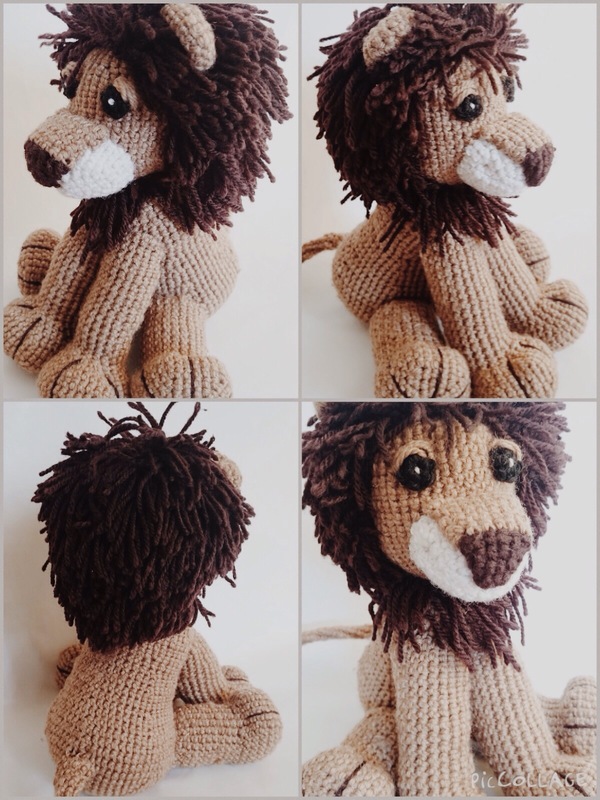 Not sure if he’d appreciate a plush toy, but I know for sure that if he had a spirit animal lion would be it. So here’s my pattern for this lovely little toy. The pattern is worked in continuous rounds without joining at the end of each round. The semi colon between rounds indicates similar pattern is to be followed for the rounds between them. The mane is rooted*. Follow the pattern under mane for the mane cap. To make the hair like appearance for the mane, cut yarn to strips of desired length to be worked into almost every sc on the mane cap. Fold the yarn in half; make a knot similar to the larks head knot in macramé into the mane cap. Stuff the head. Finish off. Round 1: Starting from the second chain from the hook sc in the next 3 chains, 3sc in the last chain, turn, sc in the next 3 chains, 3sc in the last chain. Stuff the muzzle and attach it to the head. Fold and sew it to the top of the muzzle. Sl st and finish off. Now attach the mane cap to the head, and start rooting it for the lush mane. It’s time consuming but gives you the best effect. After about two or three rows of rooting the hair attach the ears. Make two of these ears and sew it into the head appropriately. Stuff body and finish off. Haha! Look at his pear shaped body. Make two of these, stuff and join it with the body. Magic circle, chain 1, 6sc in the circle. Join. Make two of these and sew it onto the head. Then thread white colored yarn to a needle and make a single stitch on it so that it appears like the light reflecting through his eyes. Do the same for both eyes. Now thread the yarn used for his body to a needle and make parallel stitches(like satin stitch in embroidery), covering quarter of his eyes. These should appear like the eyelid, almost making him a droopy eyed lion. Magic circle, chain 1, 6sc into the circle. Make several rounds of 6sc till your desired length. Make a 2sc increase for the next two rows and finish off. Sew the tail to the body. Root little strips brown colored yarn to the end of his tail.